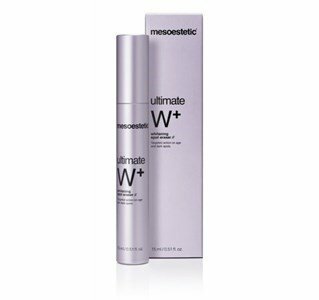 Ultimate W + Whitening Spot Eraser - ultra concentrated bleaching treatment. Suitable for local application on hyper pigmentation on the face, neck, cleavage and hands. 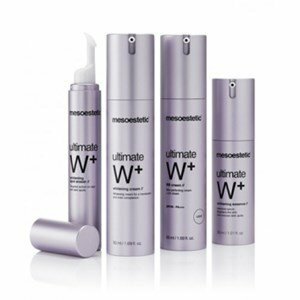 Acts locally on wrinkles, due to their formulation with retinol. The (meso) white complex in association with garden cress, promotes an anti-oxidant action, and attenuates the intensity and the size of the spots. Due to glycolic acid, exerts an queratolitic action that allows stimulation of cell renewal, attenuating the tonality of the stain and preventing the appearance of excess pigmentation. Apply locally on the stains. The applicator format, allows a precise distribution of the product.